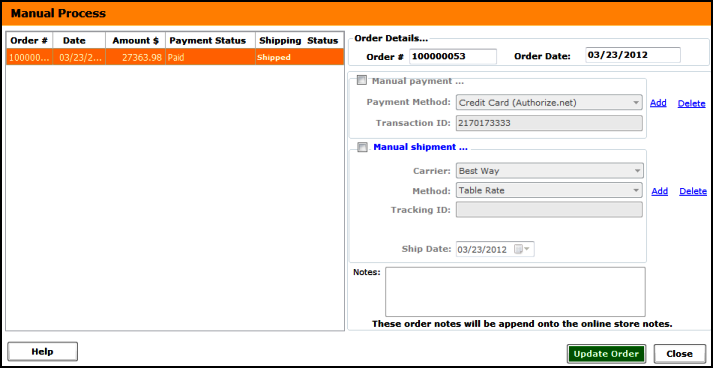 Use the Manual Processing screen to enter payment and/or shipping manually. To get access to this screen, simply right click on an order / double click an order and click on Manual Processing. Select the order on the left and use the options on the right to manually enter the payment and/or shipment information. Click update order to save the data in Shiplark.